Friday, June 24. 2016- The UK is waking up to the sight of then UKIP leader and Member of the European Parliament, Nigel Farage, on breakfast television, and the realization that the UK’s place in the EU would be no more. 17 million leave voters – 51.9% of the participating electorate – had won out. For them, this was a happy summer’s morning. For the remain voters, feelings of shock, anger, and sadness. Farage was a public face of team “Vote Leave”. Their main weapon in favour of leaving resonated with the British public: £350 million for the struggling National Health Service (NHS). Money that was earmarked for the European Union would stay in the UK and be spent where it was needed most. “£350 million a year on the NHS” was repeated at every rally, on every major news website, and across social media. “We send the EU £350 million a week, let’s fund our NHS instead. Vote Leave.” The slogan emblazoned across the leave campaign battle bus. Hard to argue with that as a benefit. Little over an hour after the vote was in, the claim that carried Vote Leave to victory was shattered. The truth is dead, long live the truth. There is no bigger post-truth player than social media. And there is no better way to fast track news – true, partially true or purely fabricated. 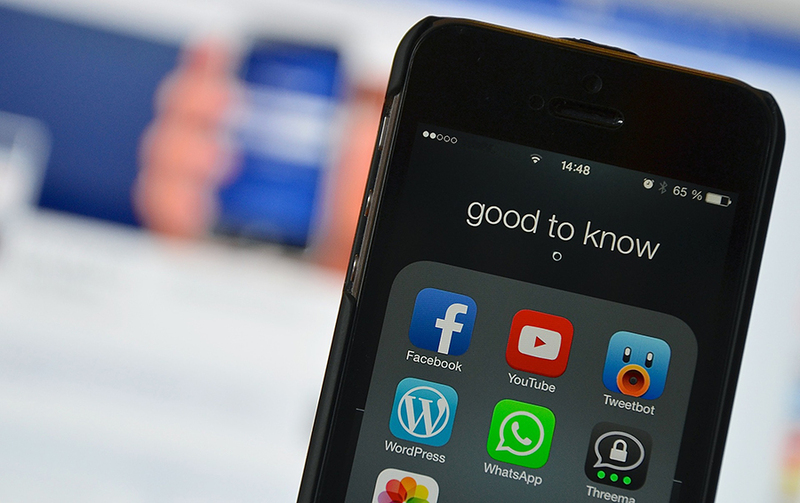 67 percent of Americans report getting some of their news from social media. 74 percent of Twitter users get theirs in tweet form, while 68 percent of Facebook users read news in their timelines. YouTube and Snapchat have also seen significant rises in the number of users turning to their platforms for news, while Reddit, Instagram, Tumblr, and LinkedIn are all regularly frequented news sources for users. In the UK, social media has taken over television as the main source of news for 18-24-year-olds. While in the US, social sites are the go-to place for news for smartphone users. It’s very easy for politicians, news outlets and propaganda machines to influence opinion via social media. From the moment we sign up for a Facebook or Twitter account, we surround ourselves with people that share our interests and opinions. We mould our social circles and block out everything else. Then, as our ‘friends’ and ‘followers’ like, comment, and share posts, we get to see it. Our circles then shape our opinions. 83% of people trust the recommendations from family and friends. We see recommendations and take them at face value – even if they’re not true. We’re also much more likely to share something if asked to by a friend or family member. This leads to us creating our own realities within our social network realities. With trending hashtags able to propel content to viral status within minutes, so-called “fake news” becomes the widely accepted truth. A prime example of this is #Piggate – the alleged incident of David Cameron’s obscene act with the head of a dead pig that trended worldwide. Two years on, the incident is taken by the majority of people as fact, despite there being no evidence of it ever having happened. Have you ever heard the old proverb: “A lie can travel halfway around the world while the truth is putting on its shoes”? That’s how fake news operates. Social media has become so influential as a news tool that content from Facebook, and in particular, Twitter is picked up by news media sites to create headlines that are believed. These stories are then shared from the very sites they were sourced, and the story goes viral all over again. It’s a vicious circle. The perpetuation of news has accelerated thanks to advances in targeting. It’s now possible to target so narrowly through Google’s Display Network (some two million sites, including Gmail and YouTube) and Facebook that users can focus in on a specific person based on their jobs, relationships, likes, interests, and activity. A scroll through the Facebook feed at any hour of the day or night will reveal ads targeted at you because of sites you’ve visited, things you’ve liked, or even things your friends have liked. The success of ad targeting saw digital advertising spend (social, video, email and mobile ads) reach $1.4 billion during the 2016 US election. Up 789% on 2012. Cambridge Analytica (CA), is a company that uses this precise level of targeting, known as psychometrics (the ability to target individuals rather than demographics), to push out propaganda. CA, as described on its Wiki page, combines data mining and data analysis with strategic communication. What this means is that they can collect all of your social media data and use it target you with ads paid for by its clients. In the case of post-truth, two of those clients were Vote Leave and the Trump campaign. During Brexit, CA operated on behalf of the Leave campaign to help target undecided voters and persuade them to vote in favour of leaving the EU. During the Trump campaign, CA worked closely with Facebook, Twitter and Alphabet (Google) on digital activities, using bots to promote pro-Trump and anti-Hillary content. During both campaigns, money from billionaires and other third-parties with agendas not in alignment with democratic principles were used to fund this advertising. Such was their ability to do this (40-50,000 ad variants were used every day, continually measuring responses and adapting to suit the audience), Trump messaging completely overwhelmed Clinton’s. In fact, as mentioned in this great piece by Vox, at the time of the election, Trump bots outnumbered Hillary’s by five-to-one. CA’s success in being able to target and influence social media and internet users will surely only cement post-truth politics as the go-to tactic for getting people on side. Post-truth isn’t going anywhere soon. There’s nothing we can do about it, and there’s no way for us to stop data being collected (it’s not illegal) and used for targeting, not while digital advertising exists. That’s not to say you should stop searching for the truth; it’s just that you might have to work a little harder to find it – hopefully with the help of the very technology that’s serving it up. Unfortunately, it isn’t possible for computers to tell fact from fiction (yet), but technology companies are trying aid us in our research. Facebook’s role in pushing out fake news during the 2016 presidential election has seen it change the way it labels trending topics. Rather than a single viral post being enough to warrant a place among current trends, Facebook now looks at the number of sites publishing the topic and how users engage with it. It’s also started to label suspect posts as “disputed”, adding a tag that other publishers deem it untrustworthy. Advertisers are also no longer able to modify headlines of shared news articles. A small step, but one that might reduce the spread of misinformation. For Twitter’s part, it is set to roll-out fake news flags, with beefed up algorithms to target spam accounts. However, the platform still seems to be a place for bots to thrive, despite even more effort and resources thrown at the problem. Google’s new Digital News Initiative (DNI) is working with news publishers to support high-quality journalism. In 2016, after receiving criticism for its role as a spreader of bogus news, the initiative gave 150,000 Euros to three fact-checking projects. One of these, Full Fact, is working to produce a fully automated fact-checking tool that allows journalists to be alerted to false claims immediately. For the time being, though, we have to put our faith in the technology companies to get a hold on a problem they helped create. Until they do, it’s up to us to decide what is truth, part-truth or nothing like the truth.